Pre-Purchase The Division 2 and Get a FREE Game! 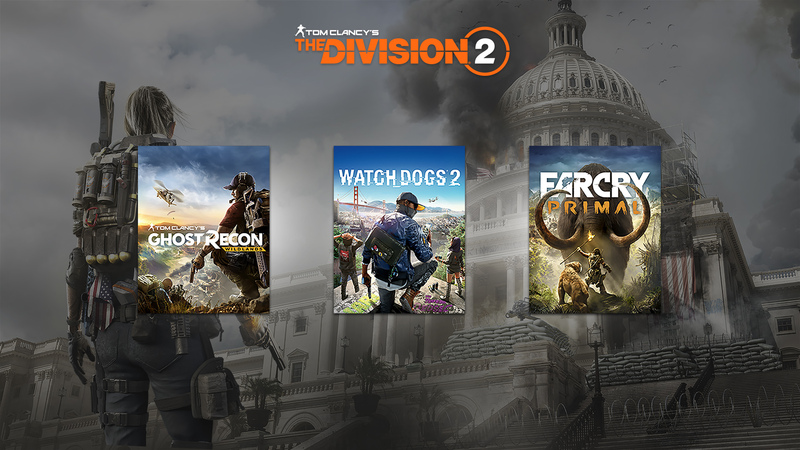 Anyone who pre-purchases The Division 2 will receive one of three other Ubisoft games FREE on March 15. Choose from among Far Cry Primal, Watch Dogs 2, or Tom Clancy’s Ghost Recon Wildlands. Click here to pre-purchase now. Any player that already pre-purchased is also eligible and will receive an email with instructions on how to redeem.